Two parcels of land leased to Israel since 1994 will be returned to Jordan. Lara Alqasem’s case raises questions about Israel’s response to the international boycott movement. With Haley’s departure, Israelis joke they will have only one ambassador at the U.N.
Haley has long been seen here as a savior of sorts at an institution that Israel has accused of harboring a bias against the Jewish state. For the first time, an Israeli man has been charged in a criminal indictment for refusing to grant his wife a divorce for more than 20 years. At least a dozen women have accused David Keyes of inappropriate behavior. Twenty-five years ago, Israelis and Palestinians reached out for peace. But it escaped them. Commissioner General Pierre Krähenbühl said the United States is ending funding for political reasons. 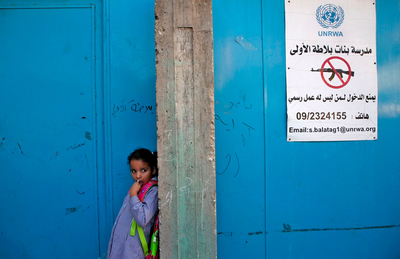 The Trump administration is expected to announce an end to all funding for UNRWA. The law’s passage was celebrated as a historic moment by Benjamin Netanyahu and his allies, Arab legislators said the law was instead an expression of Jewish supremacy that had turned them into second-class citizens. Jewish or democratic? Israel debates its founding principles. The “nation-state bill,” aimed at boosting Israel’s Jewish character, could end up denying equal rights to non-Jewish citizens. Israel says monitoring social media has cut lone-wolf attacks. Palestinians are crying foul. Many say their rights are being eroded even as shootings, stabbings and vehicle attacks by Palestinians against Israelis have slowed. Israel said Hamas operatives posed as young, attractive and, in most cases, female Israelis to lure young Israeli recruits via Facebook and WhatsApp to download the malware-infested apps. Up to 270,000 have fled fighting in southern Syria, arriving at the borders with Jordan and Israel. The trip is being billed as ceremonial, but the politics of the Middle East are difficult to avoid.